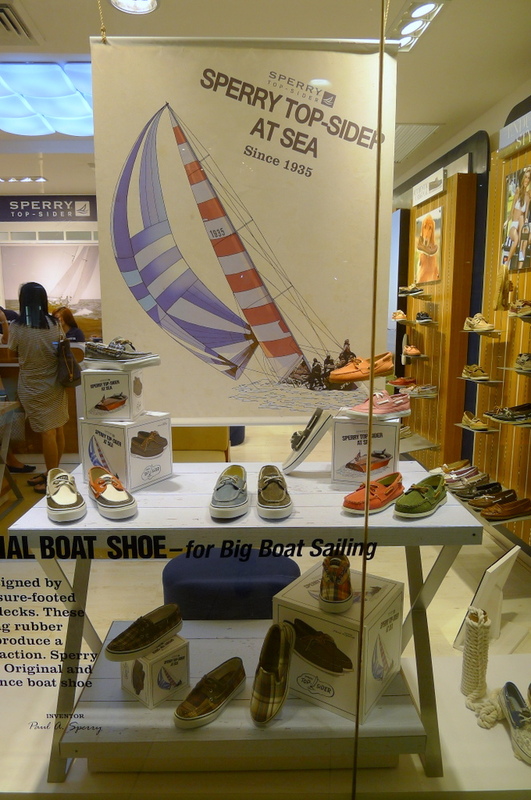 Also just before Holy Week, Berry, Nana & I went to the Sperry Top-Sider concept store in Trinoma to pick up a new pair of Sperrys. 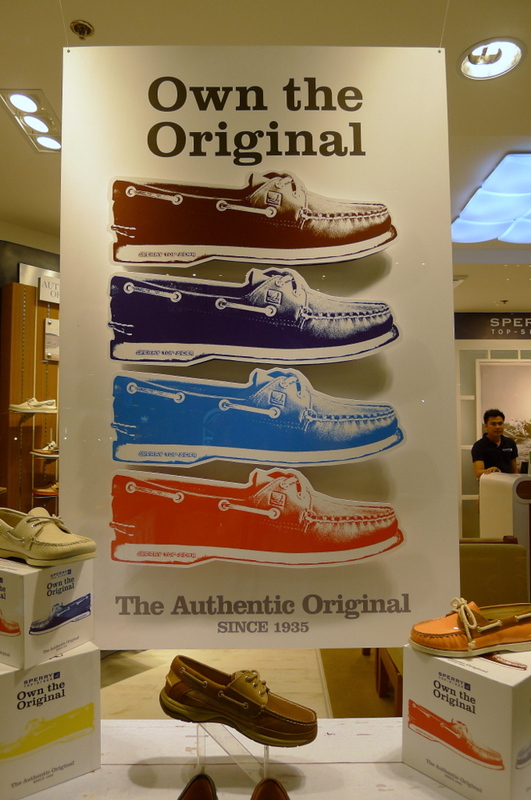 My much loved navy & platinum pair has been used and abused so often and when Katrina of Sperry Top-Sider Philippines invited me to come and visit the store to get a new pair, it was the perfect time! 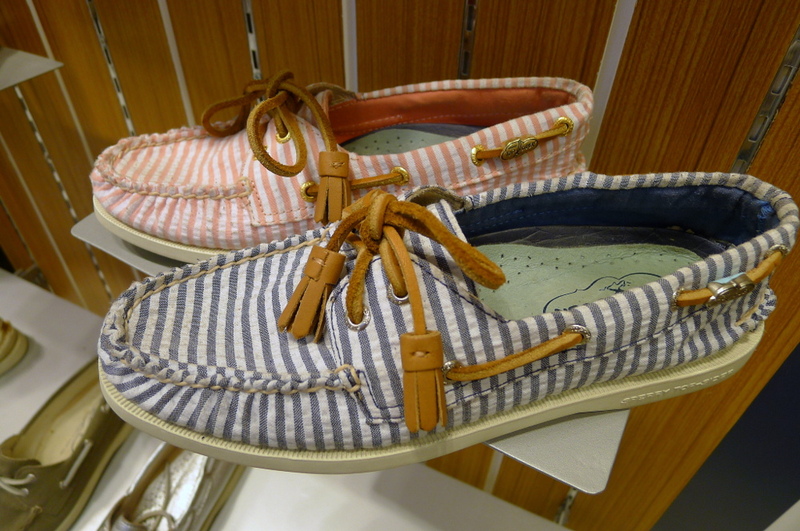 I love my Sperrys, and I cannot imagine not having one in my wardrobe. Having a new pair to give the old one time to recuperate is simply a wonderful idea. Berry had a grand time at the store too. 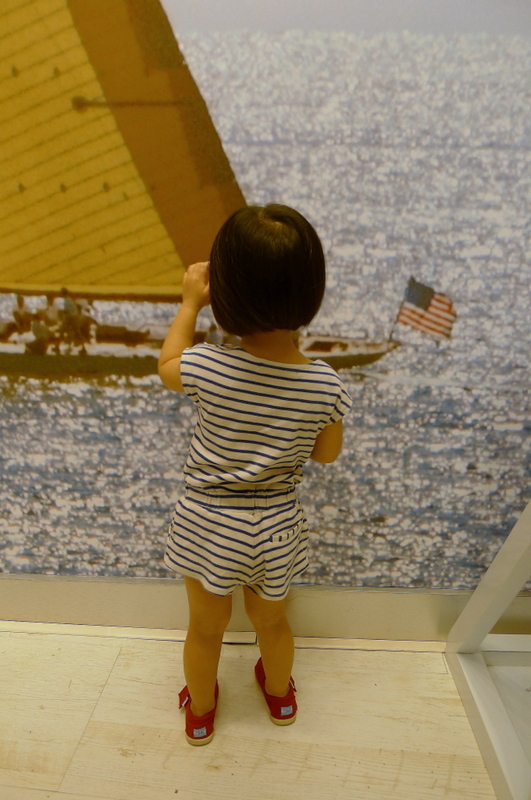 When she saw this wall, she pretended to climb onto the sailboat. 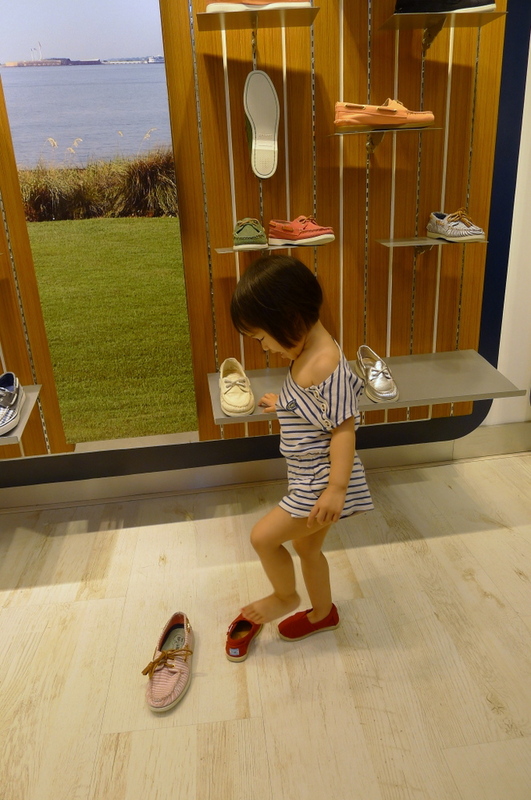 Funny that she was wearing this nautical outfit that day too! She said, "Mommy, look!" and started walking towards me with this giant shoe on one foot. 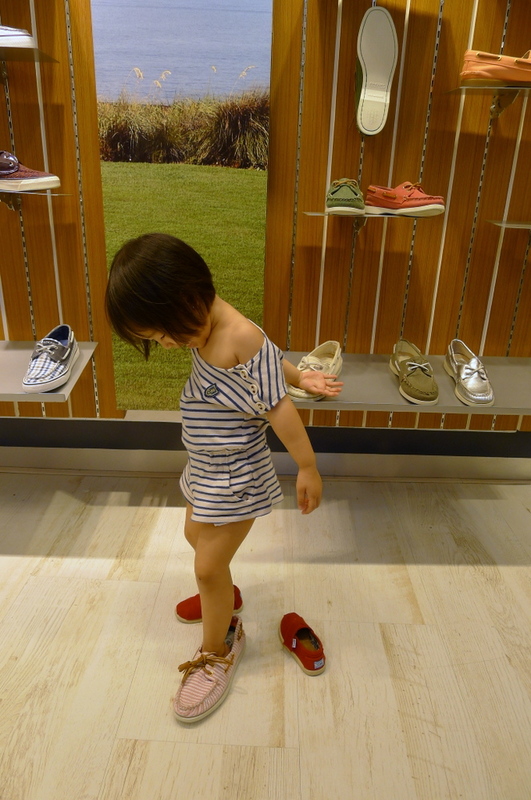 Looks like we have another Sperry fan in the making here! Of course, there are a host of choices for guys too. From flip flops, to slip ons as well as the original Sperrys. 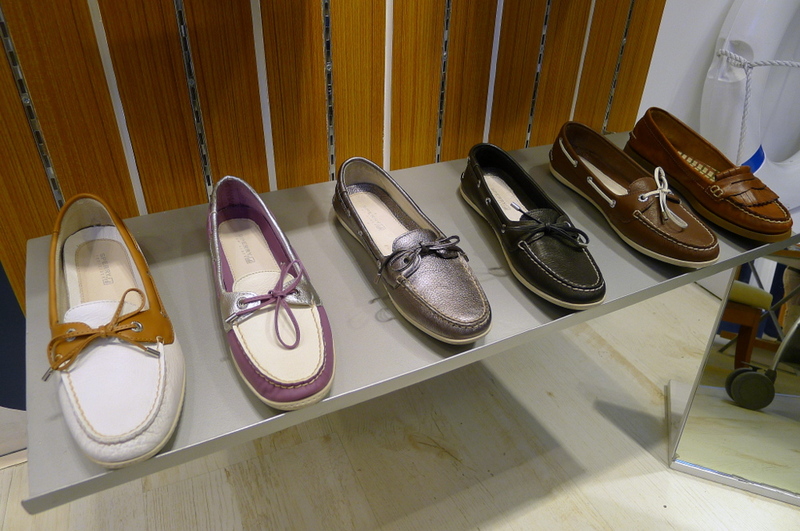 While I was in the store, most of the customers were women buying boat shoes for their husbands. I thought it was cute! 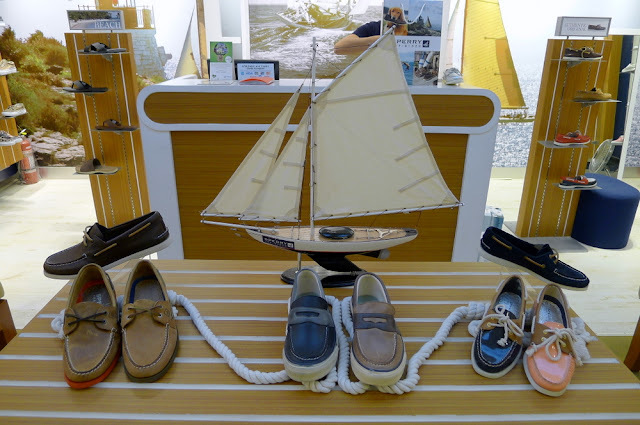 If you are looking for a pair of summer shoes, or boat shoes in particular, for yourself or the hubby/boyfriend/bro, I really recommend Sperrys. It's the original boat shoes after all! How much is it in Manila? Gusto ko lang sana compare sa price sa Singapore. Looking at men, women an kids claasic design. Thanks. About Php3,995 for adults. Haven't checked out kids prices. I think it will be cheaper in Manila than in SG. OHGOODNESS! I want those exact pair or the classic brown ones, and I've been actually jealous of my dad/brother's pair which is why I have to bring them there.... thanks for the headsup!